A very sincere Thank You to Brid Grady who raised much needed funds for Mayo Cancer Support while completing the Dublin City Marathon. Pictured is Brid presenting a cheque for €858.00 to John Tiernan and Padhraic Barrett proceeds from sponsorship collected. Thank you to all who sponsored her in this event. 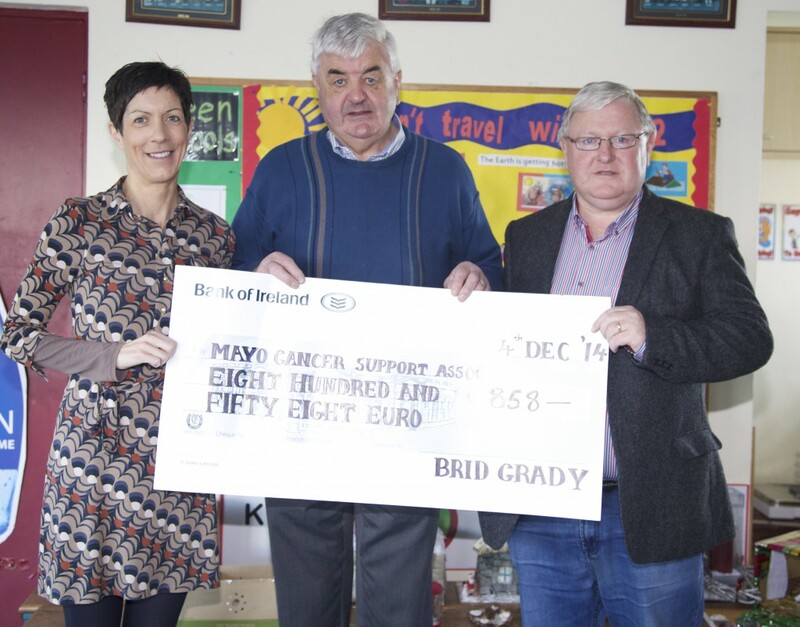 Mayo Cancer Support Association strives to support people living with Cancer, their families and friends but it is with your valued support and help that we can continue to make this possible.